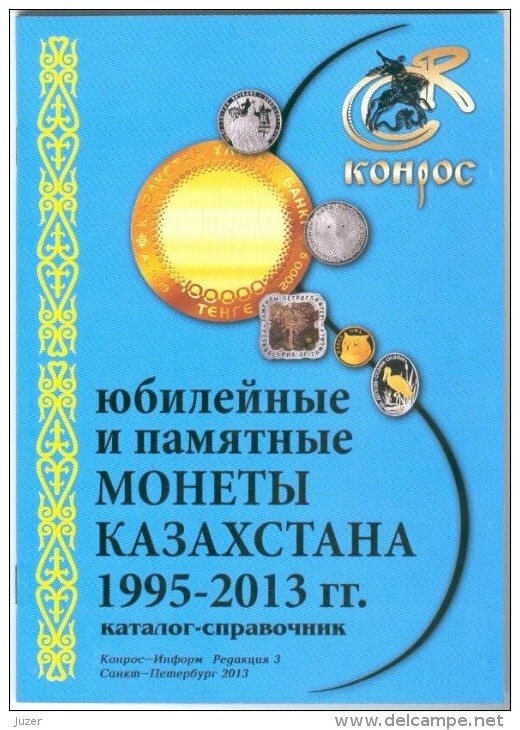 Kazakhstan 2016-18.Full annual sets of circulating coins of Kazakhstan. Kazakhstan 2013. Caspian seal. 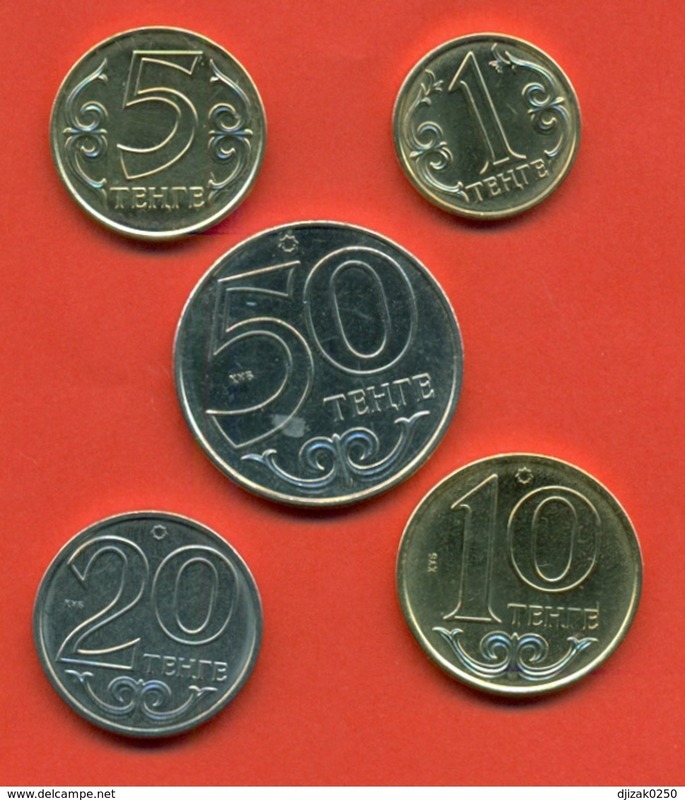 Coin of silver with gold. Weight 24 grams. Kazakhstan 2018. "Heavenly Wolf" - a deity of the Kazakhs. 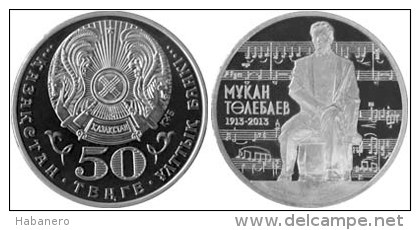 Commemorative coin. 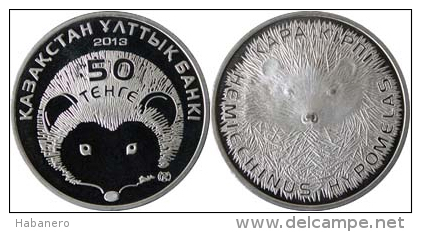 Patterns - a coin from the series "Treasures of the Steppe." Silver 24 grams. Certificate. 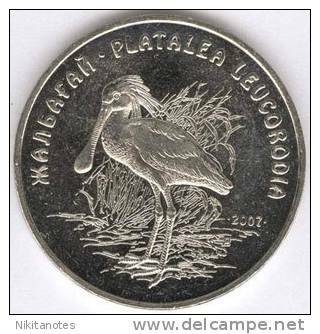 Coin on a stand. Kazakhstan 2018.Sable. Fauna. 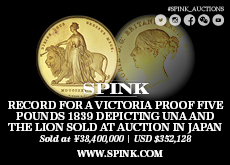 Commemorative coin.New !!! 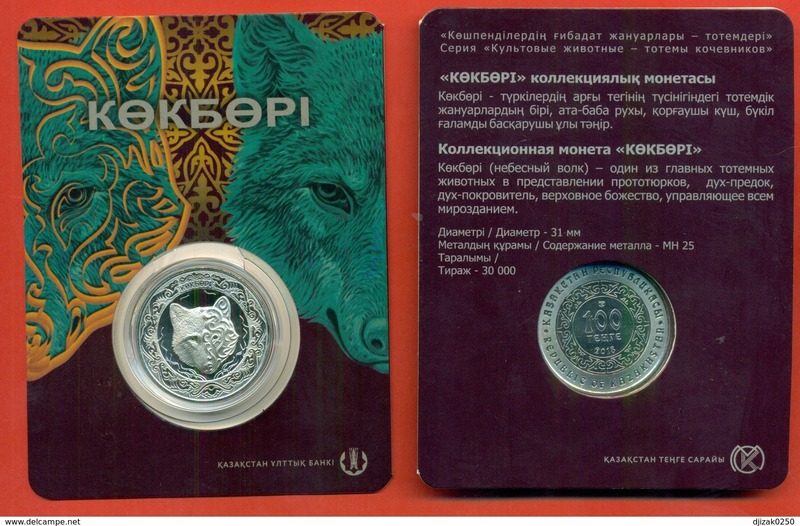 Kazakhstan 2018.Commemorative coin 100 tenge "Suinshi" (Good news). 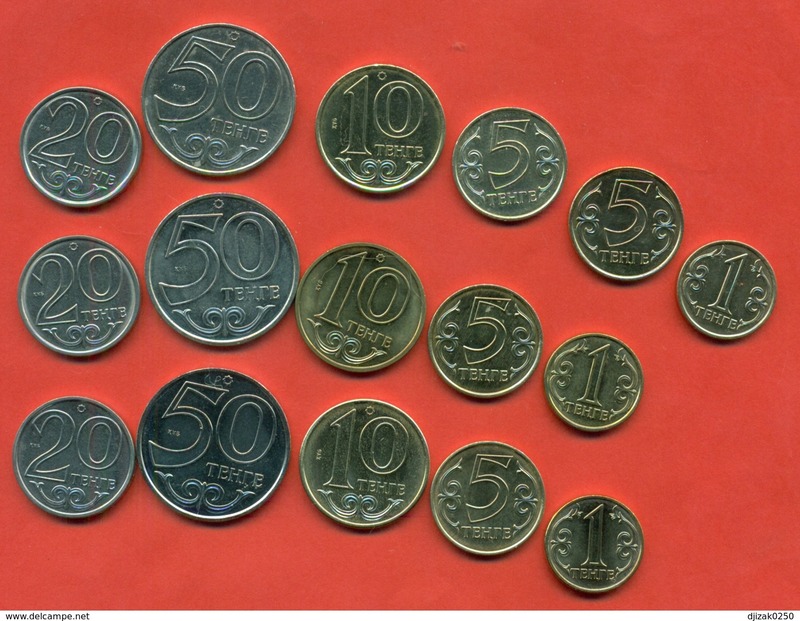 Kazakhstan 2018.A complete set of circulating coins of Kazakhstan in 2018. 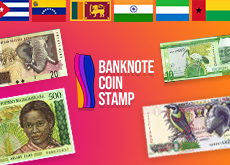 Kazakhstan 2018.The national currency is 25 years old. 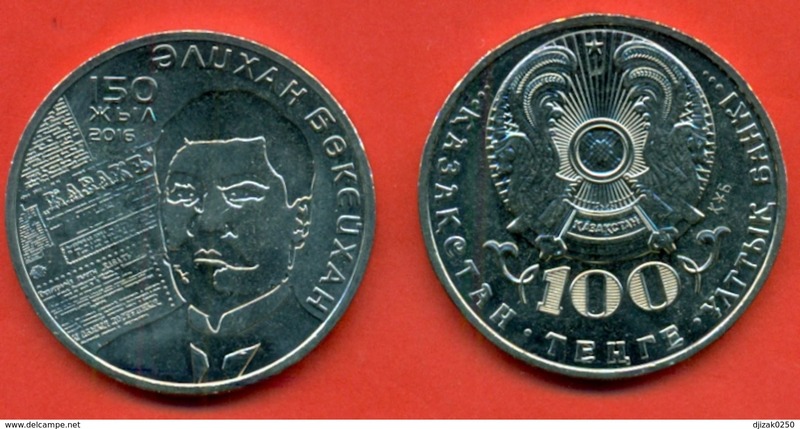 Commemorative coin. 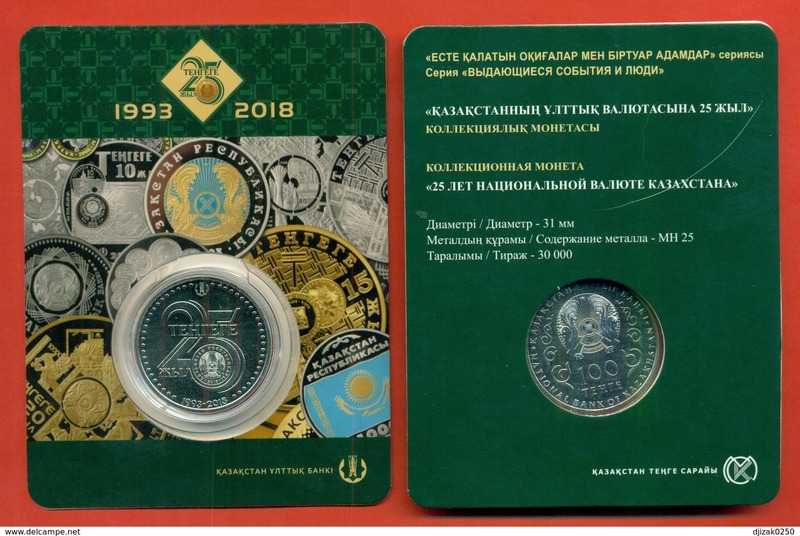 Kazakhstan 2018.Commemorative coin 100 tenge "20 years of Astana"
Kazakhstan 2016. 100 tenges UNC CuNi.Alichan Bukeychan. Kazakhstan 2016. 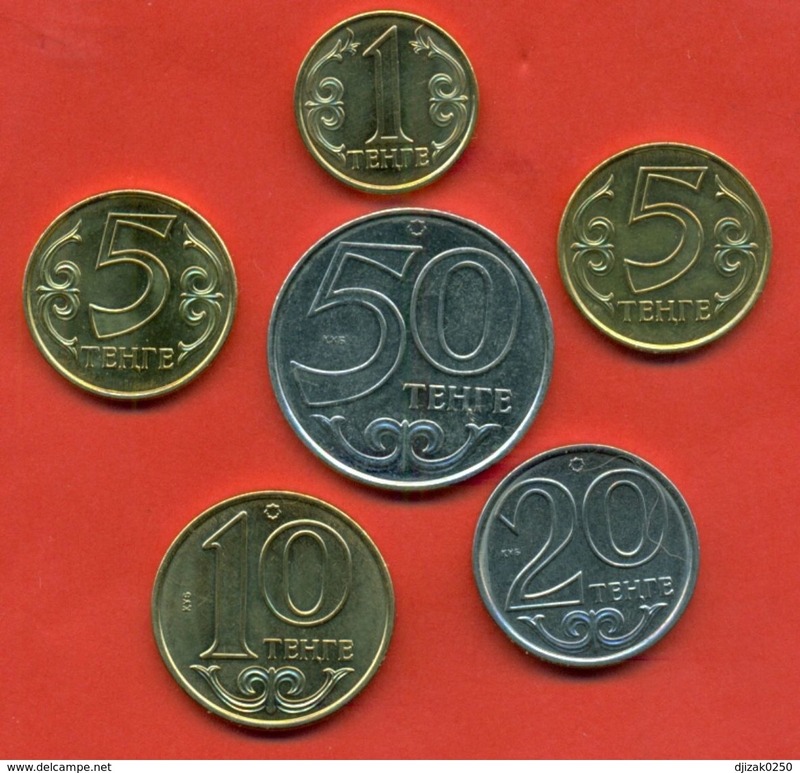 100 tenges UNC CuNi.Abulkair Chan. 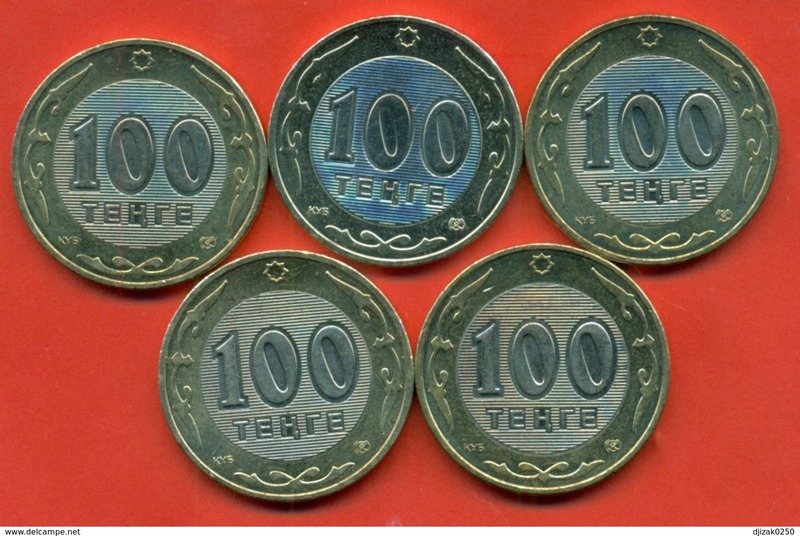 Kazakhstan .Full set of coins 100 tenges bimetalic of Kazakhstan.UNC. 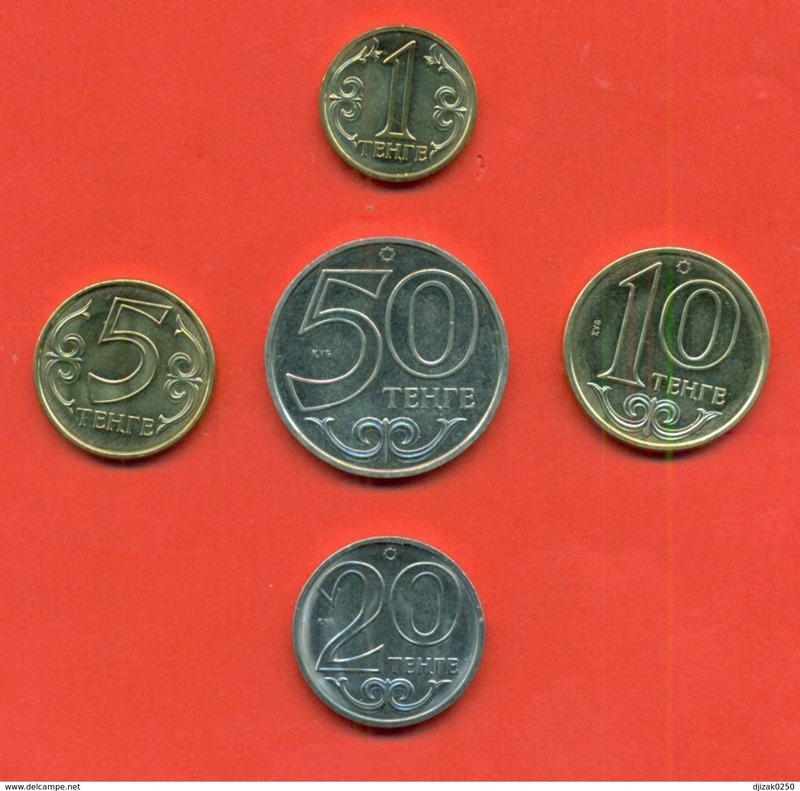 Kazakhstan 2017.Full set of coin Kazakhstan.The set includes 1, 5, 10 and 20 tenge magnetic and 50 tenge non-magnetic. 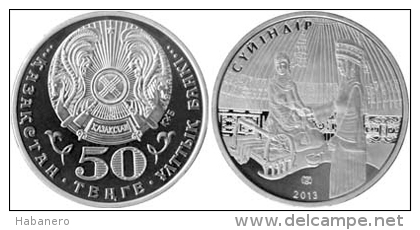 KAZAKHSTAN​: 50 Tenge coin Spoon-bill Cu-Ni,2007​.UNC​.